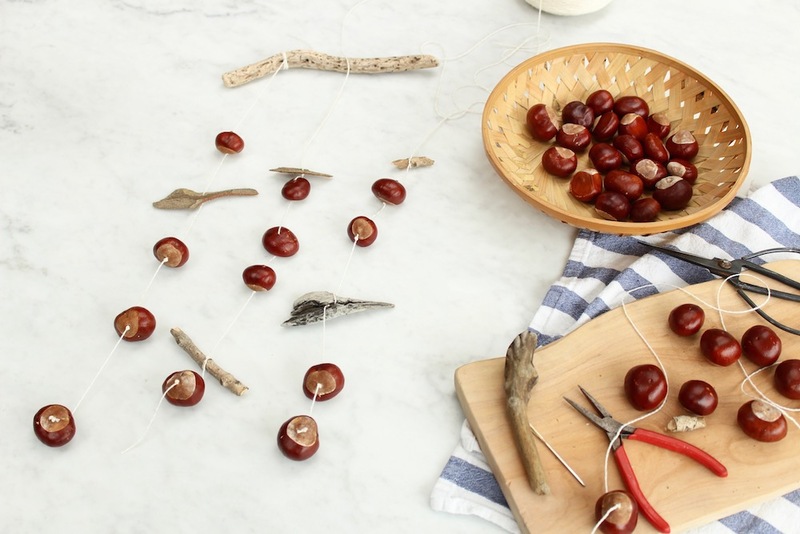 Conkers, string, a large stick to hang the conkers from, some small sticks or pieces of driftwood to decorate, a long nail, hammer, large eyed needle, pair of pliers, sturdy chopping board. 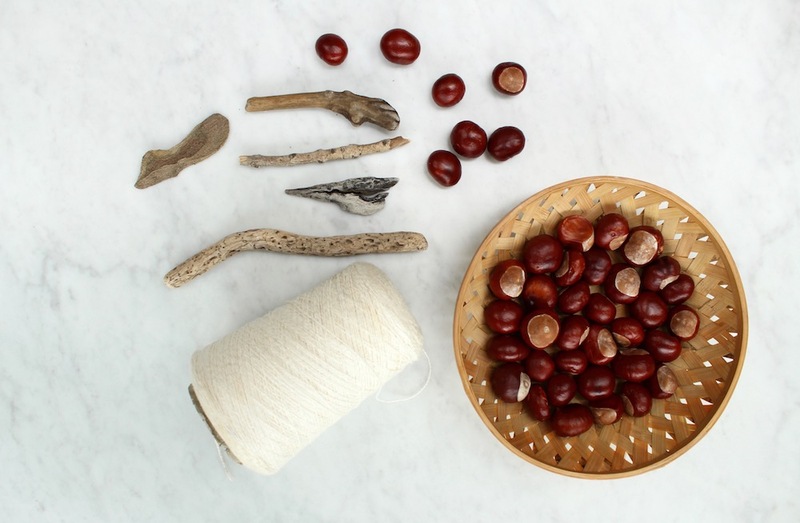 Make a hole in the middle of each conker by hammering a nail through the soft part. 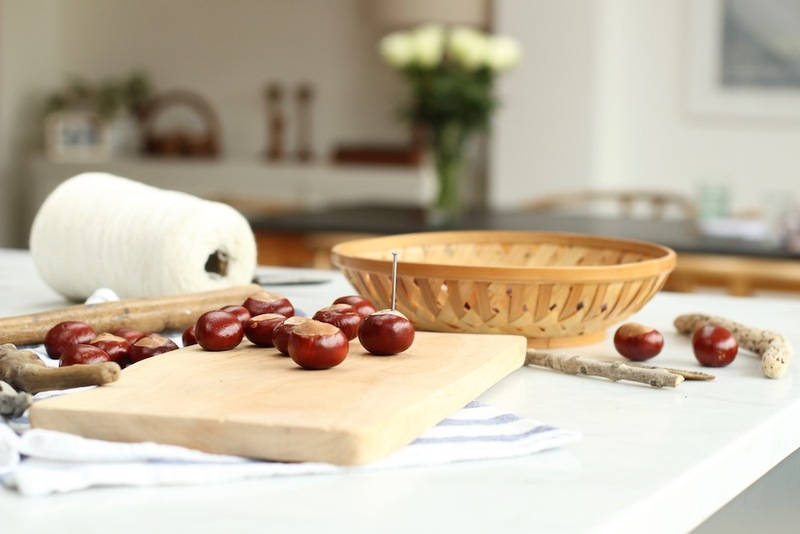 Use a chopping board underneath to protect your table. At this point you could also paint the conkers with clear varnish to help maintain their shine. 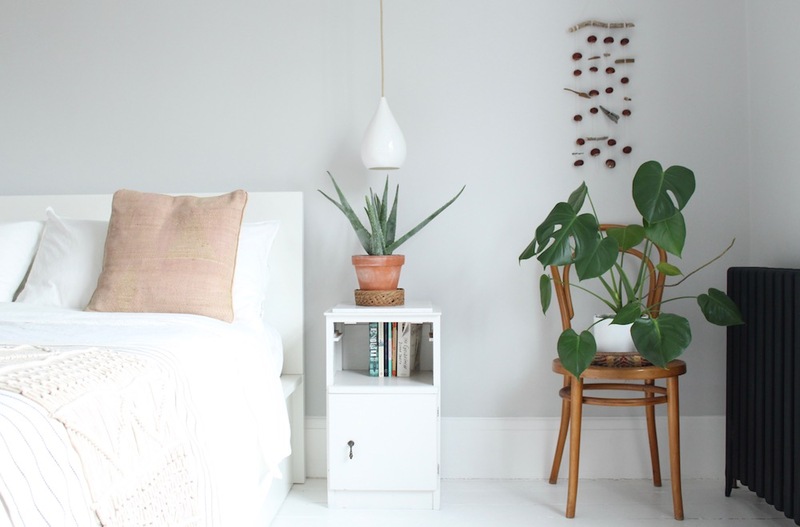 Cut three or four pieces of string roughly equal in length. 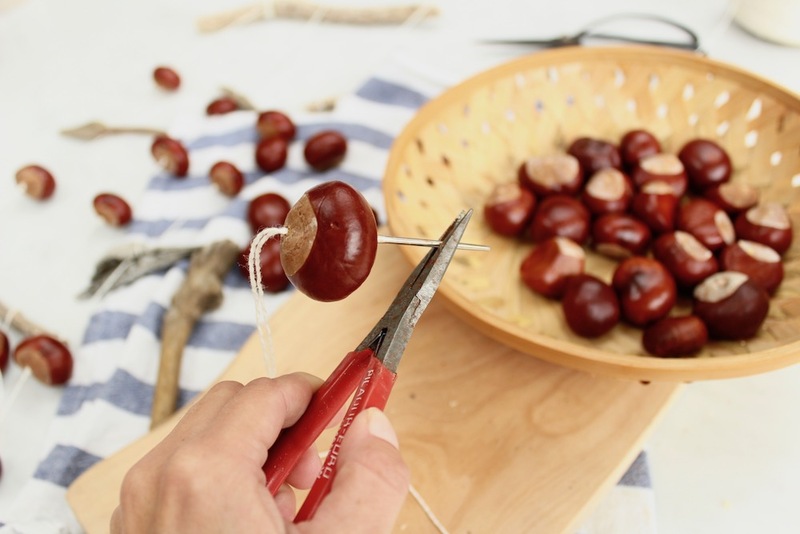 Before threading each conker onto the string tie a triple knot just below where you want the conker to sit. This will stop the conker from sliding down the thread. Using a large eyed needle pass the thread through the holes. If the needle gets stuck I found a pair of pliers useful to pull it all the way through. 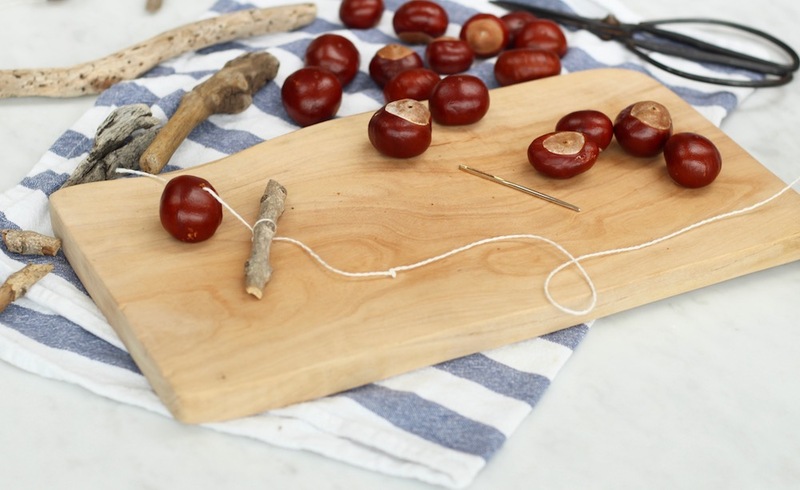 Position your conkers randomly along each piece of string and attach a few pieces of driftwood or sticks in between. 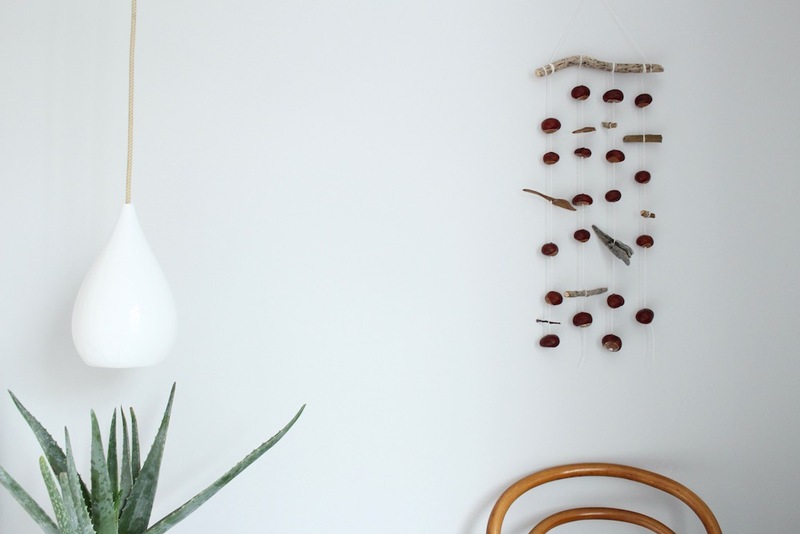 Use the large stick to hang your completed conker threads from. Wind the top of each piece of string around the stick a few times and fasten with a knot. Lastly tie a single piece of thread to each end of the stick to create a hanging loop. I’m really happy with how this conker wall hanging turned out, I think it’s quite a fun way to display our shiny fallen treasures. 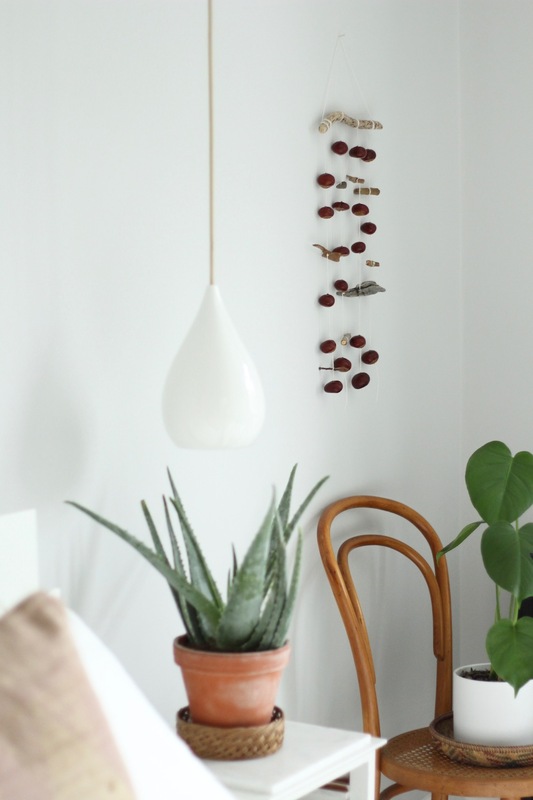 I especially love how they are all different shapes and sizes and how each one hangs slightly wonky.